What if I told you about an exposure that scientists have determined makes you three times more likely to develop lung disease and cancers, four times more likely to experience depression and alcoholism, and seven times more likely to have a developmental delay associated with learning? It sounds pretty newsworthy. What if I told you there is a social investment that helps to address this exposure, and that economists have discovered has a return in the US of seven dollars for every dollar invested? In Jamaica, it has been found to increase the earnings of disadvantaged children by 25%. Wouldn’t you expect that investment to hit the headlines? 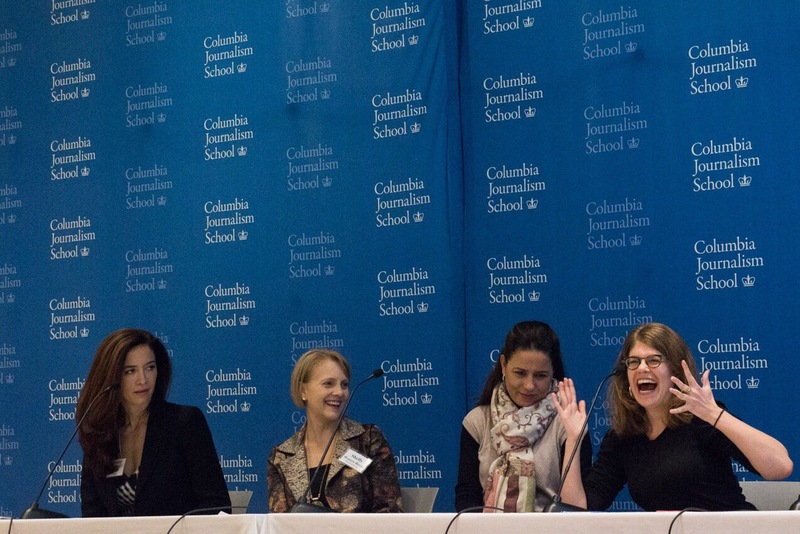 Those are questions I posed earlier this month to 45 journalists from 28 countries who participated in a four-day course at the Columbia University School of Journalism in New York City, organised by the Dart Center for Journalism & Trauma. The exposure is experience of adversity in early childhood: poor nutrition, violence, neglect. The social investment is high-quality early childhood programmes. The science and economics are clear and compelling – but, as I told the journalists, they do not speak for themselves. For these facts to reach the public consciousness, and influence public policy, journalists need to speak for them – they need to be published in places where people will read about them, packaged in relevant and interesting storylines, in language they will understand. The journalists came from a range of media, including print, online, radio and television; they included local news reporters and specialists in areas from education to science and the refugee crisis; and their outlets spanned the political spectrum. What united them was an interest in learning how to report more knowledgeably on stories about young children. We at the Bernard van Leer Foundation see it as a worthwhile investment to improve the media’s ability to “speak for the evidence” on early childhood. One common mistake, for example, is that journalists over-simplify the concept of critical periods, leaving readers with the mistaken impression that any kind of intervention after a child’s third birthday must be a lost cause. With the help of some high-profile speakers on subjects from neuroscience to economics, the course aimed to equip participants with the ability to connect local stories – about a particular child or school, for example – with wider debates about the policies, systems and services that most effectively support child development. Presentations included “Leveraging the science of early childhood development to achieve breakthroughs in lifelong health, learning, and behaviour” by Jack Shonkoff, Director of the Center on the Developing Child at Harvard University, and “How technology affects the growing brain: what we know about the effects on brain and behaviour” by Lisa Guernsey, Director of the Early Education Initiative at the New America Foundation. You can see the video of these and other presentations from the event here, and download other resources from the course. One of my personal favourite presentations was on “The neuroscience of poverty, adversity and resilience” by Kimberly Noble, Associate Professor of Neuroscience and Education at Teachers College, Columbia University. I was also struck by child psychiatrist Lynne Jones’s presentation about her research with children affected by war and humanitarian disaster. Children who were separated from their parents to live in safety away from the war in the former Yugoslavia turned out to be more traumatised than children who stayed with their parents in the war zone. Separation from parents can be worse than war. From my conversations with the journalists during and after the course, it seems clear that they regarded it as a qualified success. Both participants and speakers confirmed to me that this initiative was something new and valuable, addressing a gap in how science gets communicated to a broader audience. Especially valuable to them was the ability to brainstorm ideas among themselves for pitching stories based on the content covered in the course. I hope that by keeping on contact through a Facebook group, the social support network they established at the course will continue to help them to apply what they have learned as they get back to their careers. One of my favourite moments was when a science writer told me she had never thought much about how government policies relate to her topics, but she would now make an effort to connect articles on neuroscience, epigenetics and health to the relevant government systems. The experience of the course will help us at the Foundation to think through more effective ways to support journalists. Developing a web portal aimed at journalists with authoritative briefs on the latest state of knowledge is one possibility. Journalists also mentioned that a constant difficulty in pitching stories to their editors is getting access to good sources. How, for example, can they meet children or parents experiencing life in institutions, prisons, or refugee camps? There is an important role for civil society organisations to play in reaching out to journalists to offer access in a responsible way. The Bernard van Leer Foundation supported the course, along with UNICEF, the Ford Foundation, the Jacobs Foundation and the Maria Cecilia Souto Vidigal Foundation.